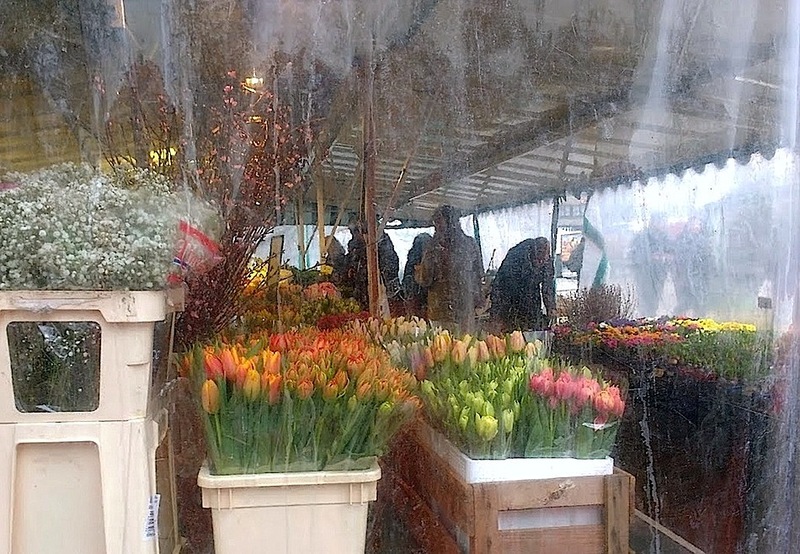 We were in the really pretty city center of Ulm on Saturday morning, walking around the farmers’ market* in the light snow. Many of the stands were completely covered in clear plastic against the cold. This one was full of tulips and forced cherry blossoms, and I would have loved to buy several bouquets, but they wouldn’t have been practical in our Ibis hotel room, which was comfortable but teeny. So I wasn’t able to make a flower arrangement this week for “In a vase on Monday,”‘ but to see what other garden bloggers have created today, please visit host Cathy at Rambling in the Garden. *On the plaza in front of the Ulm Münster (church), which has the tallest church steeple in the world. What a great place to spend the weekend.